Behavioral sciences are inseparably related to genetics. A variety of neurobehavioral phenotypes are suggested to result from genomic variations. However, the contribution of genetic factors to common behavioral disorders (i.e. autism, schizophrenia, intellectual disability) remains to be understood when an attempt to link behavioral variability to a specific genomic change is made. Probably, the least appreciated genetic mechanism of debilitating neurobehavioral disorders is somatic mosaicism or the occurrence of genetically diverse (neuronal) cells in an individual’s brain. 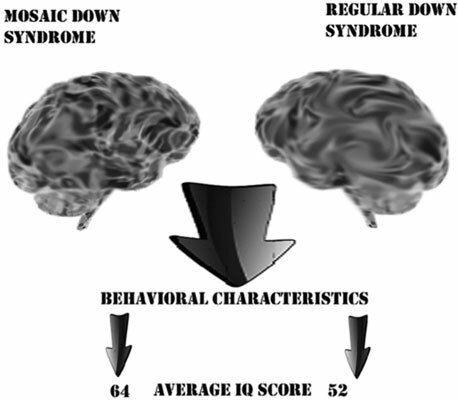 Somatic mosaicism is assumed to affect directly the brain being associated with specific behavioral patterns. As shown in studies of chromosome abnormalities (syndromes), genetic mosaicism is able to change dynamically the phenotype due to inconsistency of abnormal cell proportions. Here, we hypothesize that brain-specific postzygotic changes of mosaicism levels are able to modulate variability of behavioral phenotypes. More precisely, behavioral phenotype variability in individuals exhibiting somatic mosaicism might correlate with changes in the amount of genetically abnormal cells throughout the lifespan. If proven, the hypothesis can be used as a basis for therapeutic interventions through regulating levels of somatic mosaicism to increase functioning and to improve overall condition of individuals with behavioral problems. Behavior, Brain, Chromosome, Somatic mosaicism, Postzygotic changes, Neurobehavioral disorders.